Microscopes provide a great tool for kids to learn about science. Below are some ideas for kids of different ages. Elementary students are often best introduced to science and the microscope with items that are easily found outside such as flowers, insects or leaves. Using a low power simple microscope such as the 20x magnification MW1-L1 or the Little Professor Microscope, these items are easy to view. 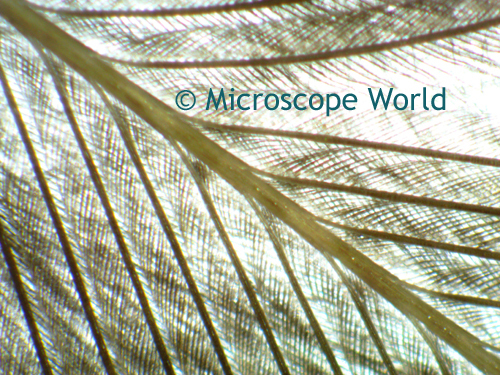 Feather captured under the microscope. Middle school students are a bit more advanced and enjoy viewing items under the microscope that have more complexity to them. Sugar and salt are perfect items to view under a high power microscope. Have the students look at the granules of sugar or salt on a microscope slide starting at 40x magnification, then moving up to 100x magnification. Once they have viewed the grains of sugar or salt, have them add a drop of water to the sample and notice the changes that take place under the microscope. 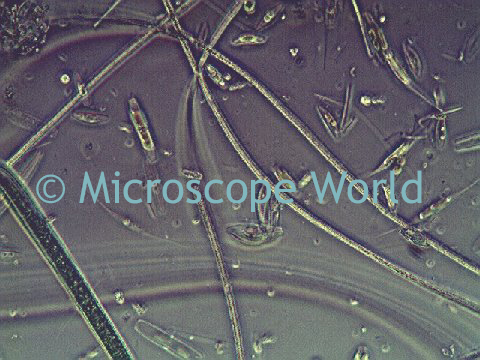 Sugar captured at 40x magnification under the microscope. High school students are learning about things that can't be seen with the naked eye in biology and chemistry. A great science project for high school students is viewing normal tap water versus pond water with a high school biology microscope. The water samples can be placed with an eye dropper on a well depression slide and covered with a glass cover slip. Bacteria found in pond water. If you have images you captured using the microscope for a science project we would love to see them. 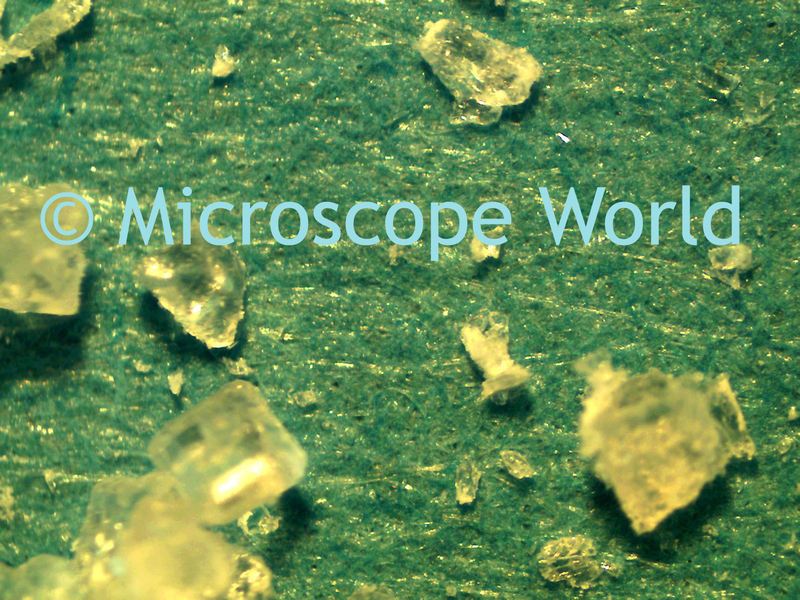 Visit the Microscope World Facebook page and share them with us!